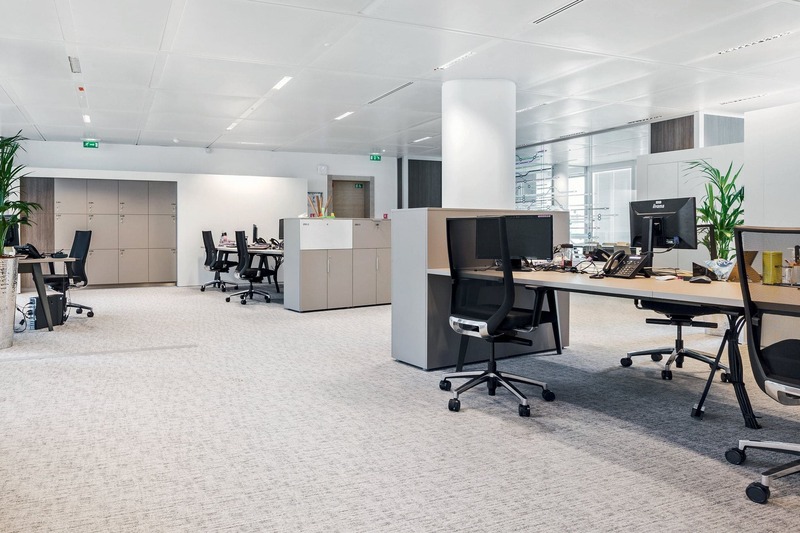 Group M - Martex S.p.A.
Martex has furnished the Paris office of Group M, an international leader in the management of investments in the media world. The project involved 850 workstations arranged in bright open spaces, subdivided into 2 and 4-seat bench tops. The Galaxy cabinets offer large storage surfaces and, at the same time, distribute the spaces between the various stations. For both the bench and the cabinets, Martex customized the finishes according to the customer’s wishes. The winning point that led to Group M choosing Martex was the Pigreco system. In fact, the design and technology with which the structure is designed allows you to have spans up to 3600 mm (4-seater benches) without the intrusive central support.